My exhibition of new work starts soon at Osaka Takashimaya dept store in Namba! Almost all pots fresh from my most recent firing. 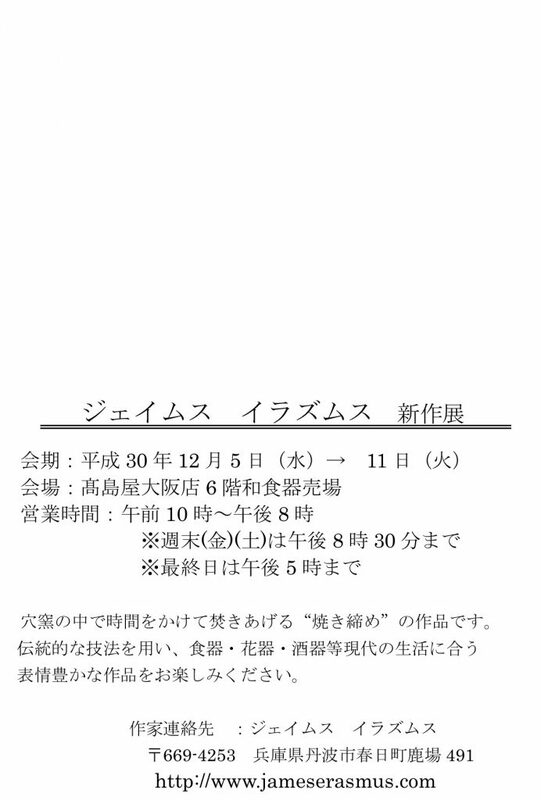 December 5–11 Osaka Takashimaya 6fl.